The technology sector is fast paced, exciting and obsessed with innovation – so why are you and your teammates still coming up against lengthy, laborious and admin-heavy delays when it comes to processing expenses? 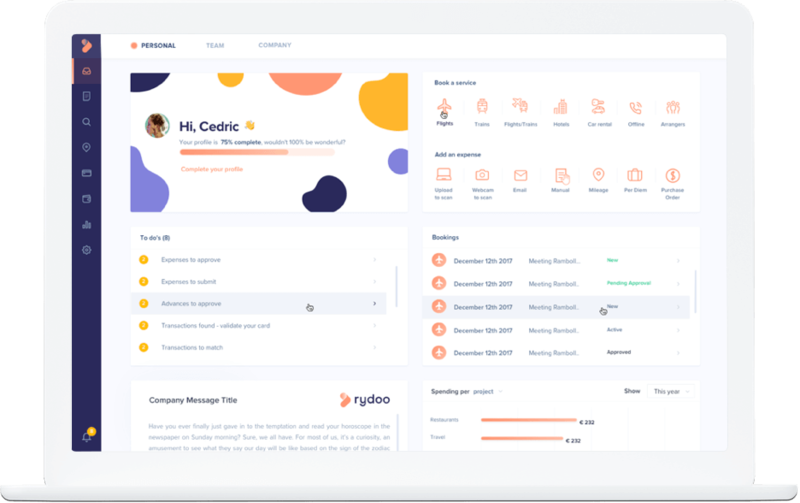 At Rydoo, we believe it doesn’t need to be complicated – so we’ve created an elegant solution that will save your company time, money and headaches. Rydoo is an online travel and expense management system that takes care of all the annoying parts of processing team expenses, from booking flights and hotels, to reimbursing business dinners and team meetings. Team members can integrate Rydoo with their favourite apps such as Dropbox, Slack and Uber to automate expense flows, and you can also connect your company’s existing financial systems to ensure a seamless data flow between the software. Our responsive app allows receipts and expenses to be easily uploaded to our system and helps team members to easily keep on top of tedious but necessary expense admin. Find out more or try our 14-day free trial to see if Rydoo is right for your company. We always knew internally that there is something out there that would be better than Microsoft Dynamics to handle our expenses. Find out more. We wanted to free up people’s time. If they are in a restaurant, they can take a picture of their receipt and immediately send it for approval. Find out more.